The Kerala government on Saturday said that the families of people who died in flooding in the state will receive compensation of Rs. 4 lakh each. Chief Minister Pinarayi Vijayan also directed the authorities to disburse cash compensation of Rs. 10 lakh each to those who suffered damages to their homes or farms. The announcement for compensation came hours after Vijayan and state opposition leader Ramesh Chennithala conducted an aerial survey of the flood-ravaged areas. Heavy downpour has caused massive deluge in the districts of Idukki, Wayanad, Kozhikode and Ernakulam. Several teams of National Disaster Response Force have been working to contain the situation. 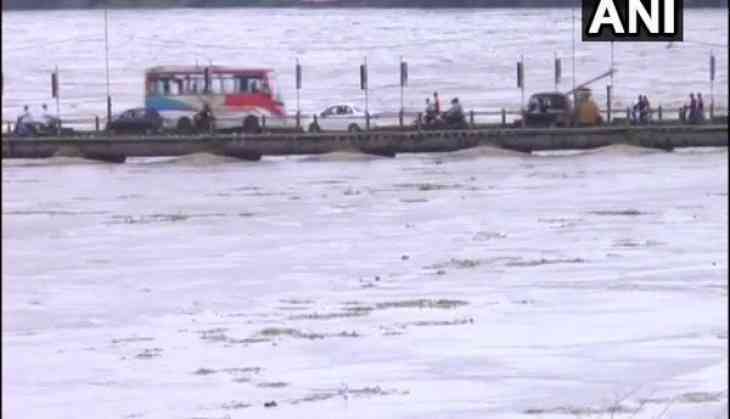 The Kerala State Electricity Board was forced to open five shutters of Cheruthoni Dam in Idukki District on Friday, in order to release excess inflow from catchment areas of the reservoir. Prime Minister Narendra Modi, on Friday, spoke to Vijayan and offered relief to those affected. "Spoke to Kerala CM Shri Pinarayi Vijayan and discussed the situation arising due to floods in various parts of the state. Offered all possible assistance to those affected. We stand shoulder to shoulder with the people of Kerala in the wake of this calamity," Prime Minister Modi said in a tweet.